The market for special edition Mustangs is a crowded one, with companies like Shelby, Saleen, Roush and Steeda all offering their own complete vehicle packages that are backed by hundreds of hours of testing and development, not to mention years of racing experience. 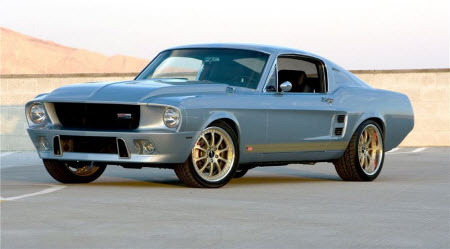 Needless to say, consumers have more than enough choices when it comes to buying a custom pony car. With the market already competitive, anyone else wanting to create their own version of the Mustang needs to offer a unique and compelling product. 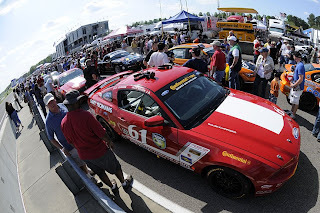 Vaughn Gittin Jr. serves as an excellent example of doing just that, with his Mustang RTR providing a decent dose of performance and styling at the right price. Unfortunately, though, there are many more ways to do it wrong than right. Take, for example, this “Colt 305 Limited Edition” 2013 Ford Mustang from Berge Ford in Phoenix, AZ. It checks every box of a custom Mustang gone wrong – little to no performance upgrades, poorly done graphics and a cheesy name. The package essentially includes a stripe package, “unique” 19-inch wheels that are simply one factory option switched for another, a custom exhaust system and various badges throughout the car. At a cost of $3,510, the package reeks of a dealership scheming of ways to make a quick buck on customers who don’t know better. You can see more of Berge Ford’s Colt 305 Limited Edition Mustang in the video below. 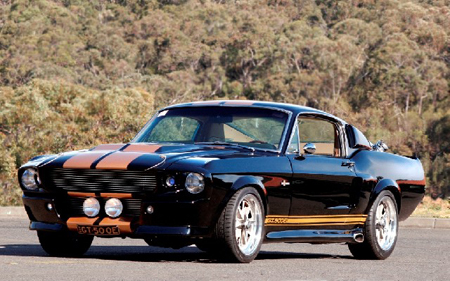 This entry was written by by MustangsDaily (Mustangs Daily) and posted here on Wednesday, June 13th, 2012 at 10:53 am and is filed under berge ford, colt 305 limited edition mustang, colt 305 mustang, ford mustang colt 305, ford mustang colt 305 limited edition, News. This article was not written by us, rather gathered using RSS feeds listed here. We take no credit for this article. You can leave a response, or trackback from your own site.